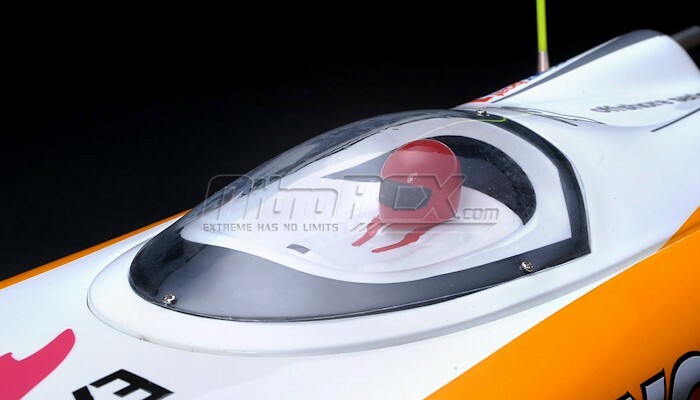 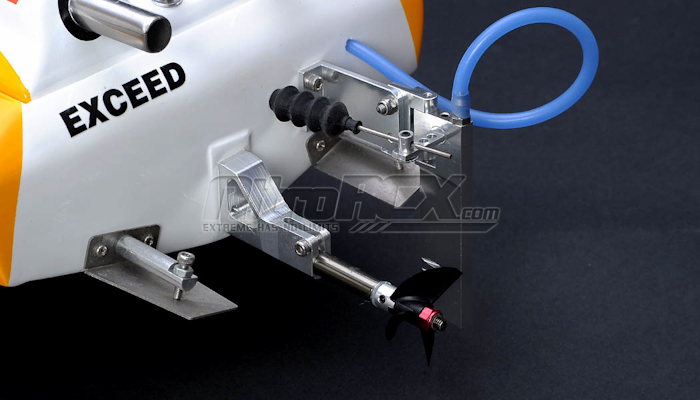 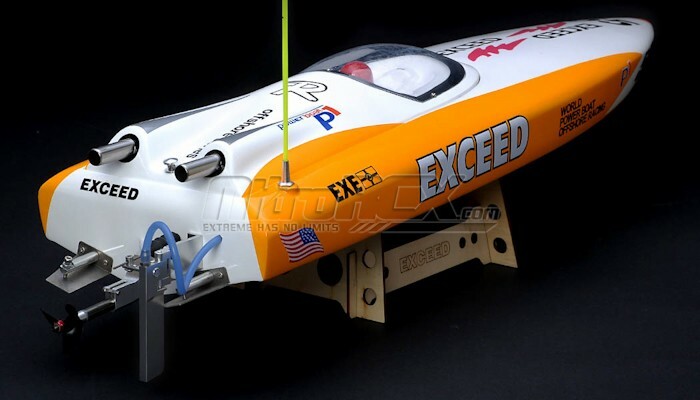 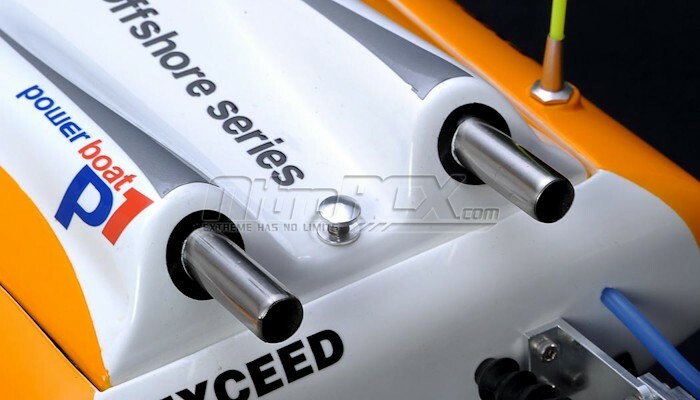 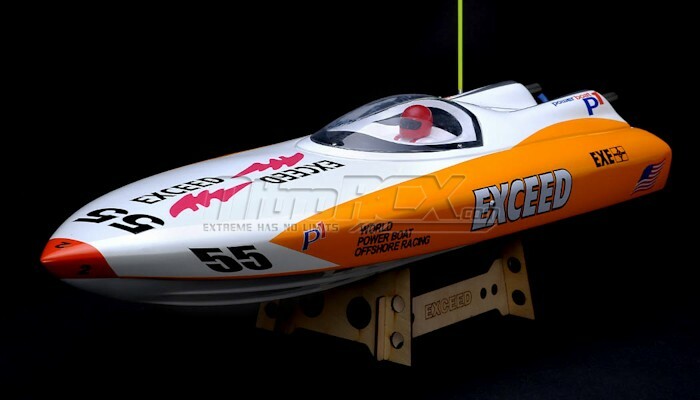 This is the new Exceed Racing 27 in. 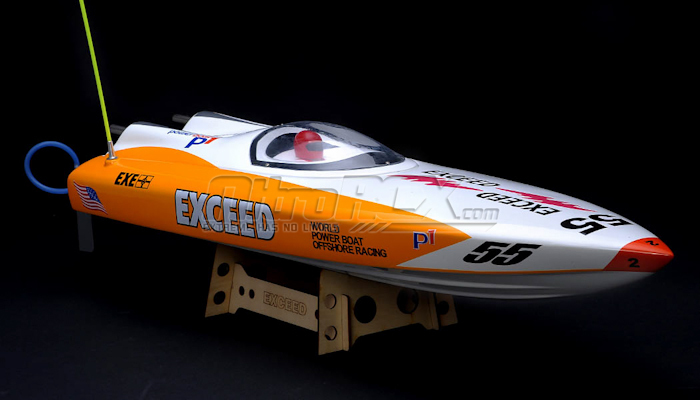 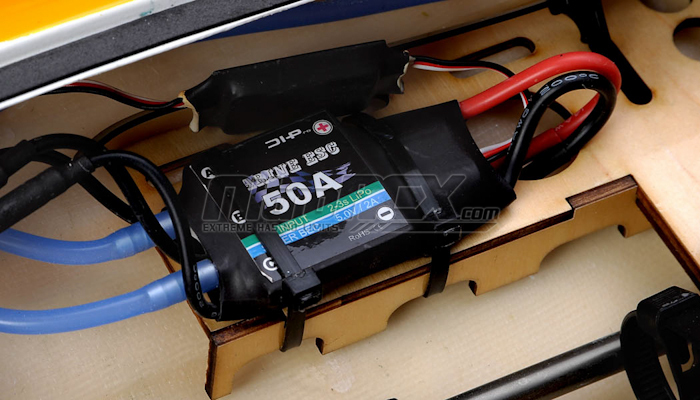 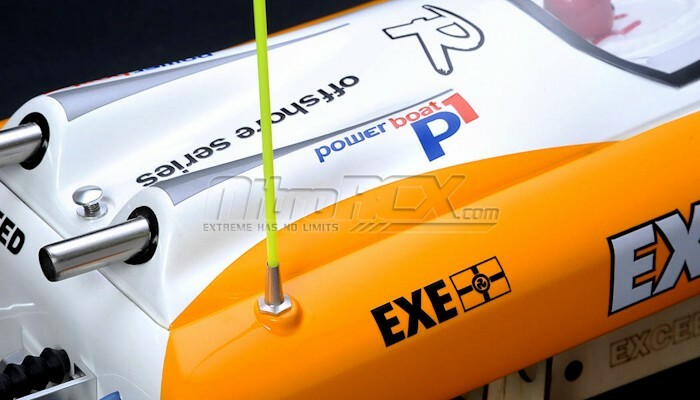 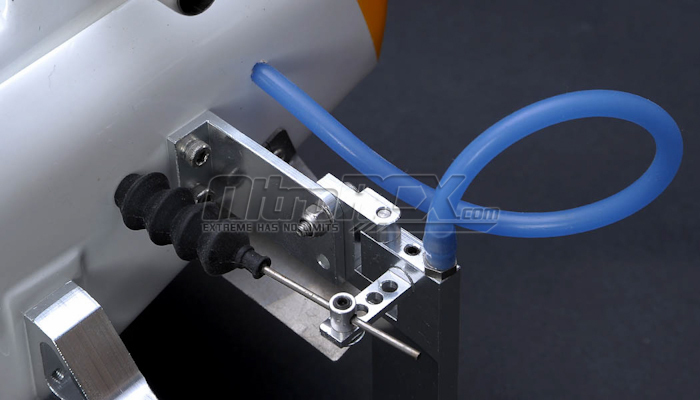 Fiberglass Electric RC Boat. Highly detailed features make this boat one of a kind. 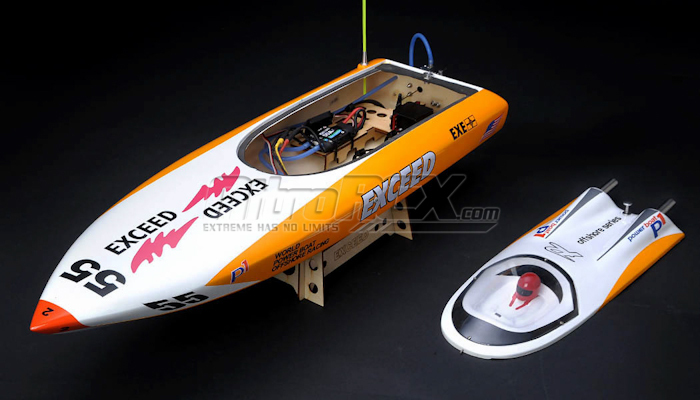 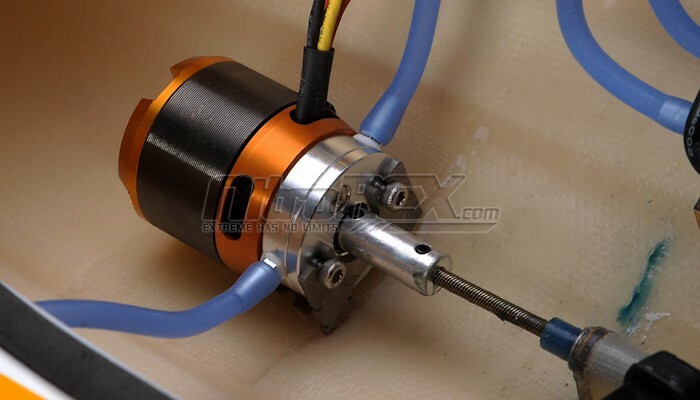 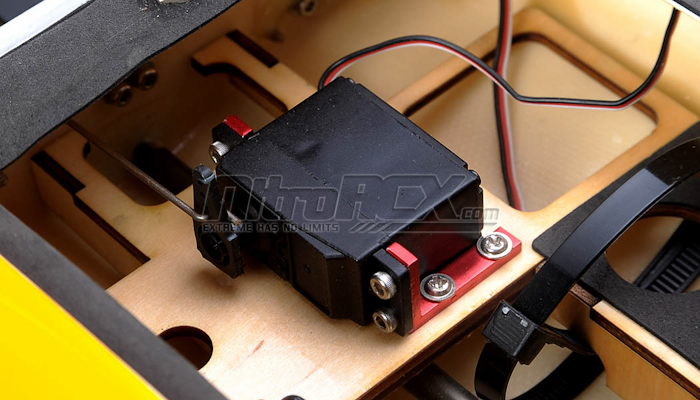 This RC boat comes with a high performance racing 2850-2800kv Brushless motor and a 50A Brushless ESC for super fast speeds and great maneuvering capabilities. 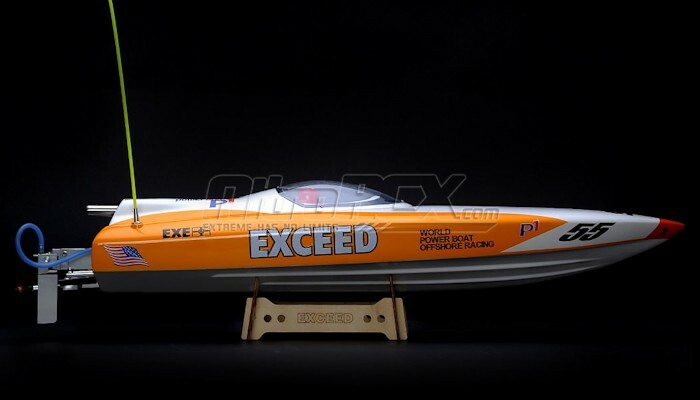 Measuring over 27 inches long and featuring a professional large torsion propeller, water-cooled engine, and this RC boat is perfect for ponds, rivers, and lakes. 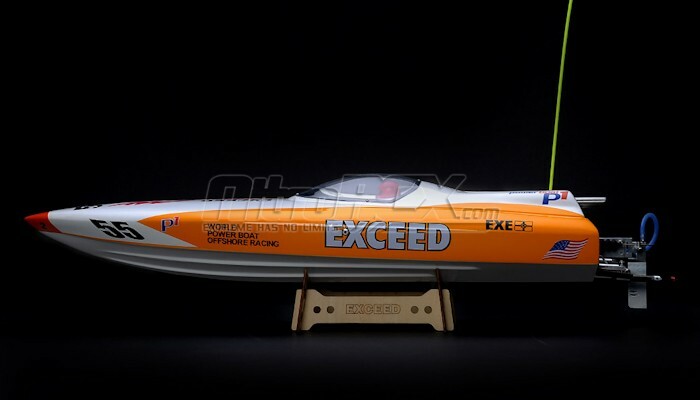 Take this fully functional reproduction of an offshore boat out to the water and watch it cruise! 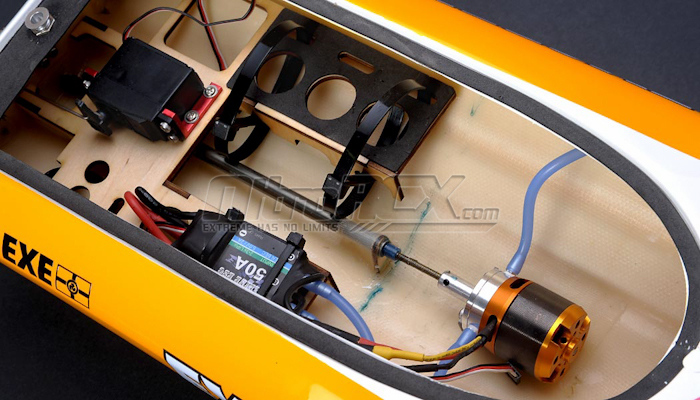 This RC boat is ARTR (Almost Ready-to-Run) you need a receiver, and a transmitter to get it out cruising on the water.